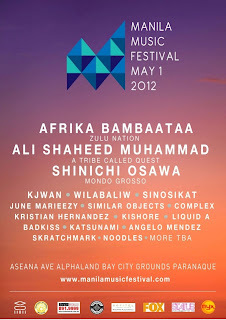 Manila Music Festival is an event organized by Volume Unit Entertainment, the same group that made the highly successful Malasimbo Music and Arts Festival. The two day celebration that was held last February 18-19, 2011. The Philippine music scene is unique. With the energy, excitement, and passion that the artists brings on and off the stage just sets the house jumping over the ground. Filipino bands, performers, DJ’s, songwriters and dancers alike give their mind and soul whenever they perform, making them one of the greatest performers of the world. Regardless of the massive number of talents, the number of musical events in the Philippines are very low. Yes, there are somewhat a number of annual music festivals like Pulp Summer Slam and the San Miguel Oktoberfest, which might I say remarkable, but with the talents that our local artists have, there is basically no excuse not to come up with a bigger astounding that will leave the world so dumbstruck they won’t even know what hit them. Now VUE is back for another round of fun and excitement through the art of music. 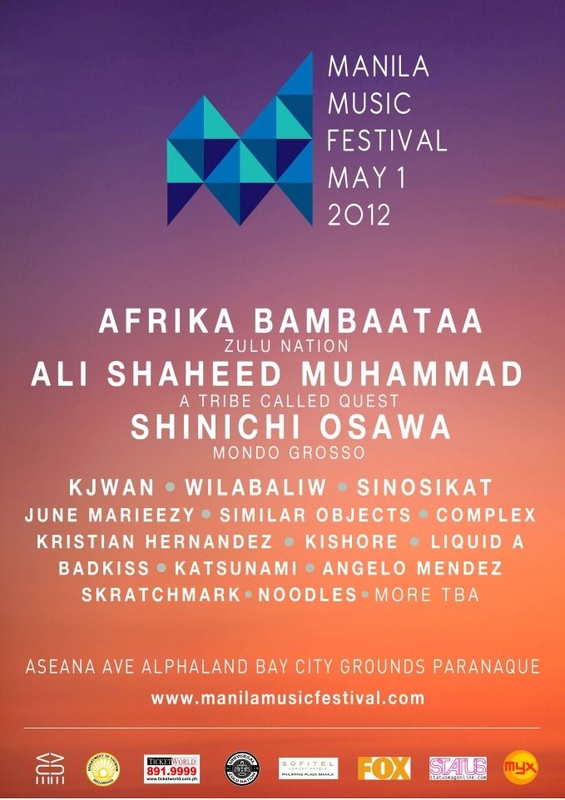 Showcasing some of the greatest musicians both international and local. So girls and boys Mark your calendars on May 1, 2012. In cooperation with Sofitel Philippine Plaza, Ticketworld, Department of Tourism, and Universal Zulu Nation. About 5,000 people will take part and experience yet another historic event in our country’s music scene. DJ’s, Bands, and solo performers around the world will be participating and witness one of the most booming and prosperous event this year. The Manila Music Festival is bound to be an outbreak of melodies, symphonies, notes, beats and lyrics from all music genres. Volume Unit Entertainment has two main roles: First is change-making, which they already did and currently doing. Second is to put on an awesome show that will exceed beyond expectations and will defy all limits of imagination. Tickets are now available at all Ticketworld outlets. Author Bio: Peter de Jesus is a marketing consultant for Manila Music Festival and White Knight Hotel in Intramuros, a budget hotel in the Philippines.